So we continue our tour through the swanky realm of Belgian style ales blended with a small proportion of lambic. In this case, Brouwerij Kerkom takes a less bitter version of their standard Belgian Pale Ale and blends in about 20% lambic. 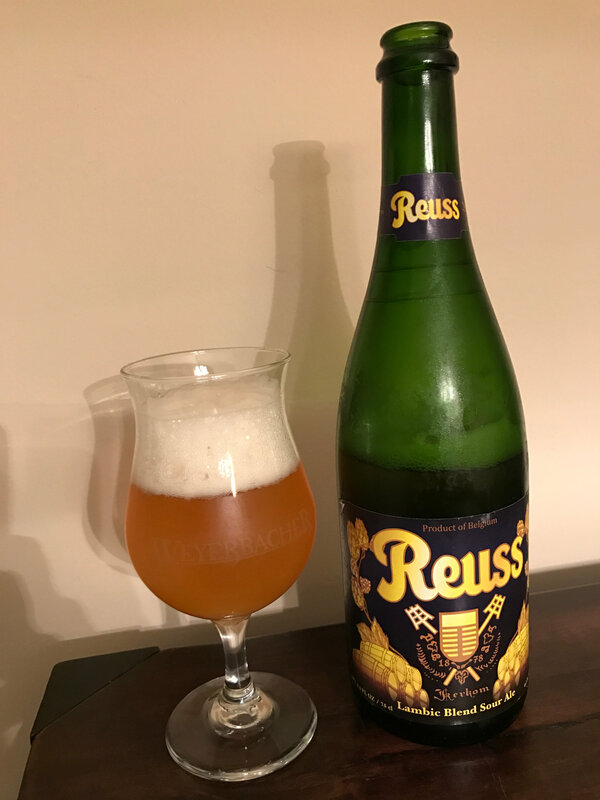 Sourcing details are sketchy, but rumor has it that the initial batch was from Drie Fonteinen (perhaps another consequence of the infamous thermostat incident), while subsequent batches vary. Some say Girardin, some say Boon, others say they are sworn to secrecy. The beer is named after the first beer brewed at Kerkom, way back in 1878. Beer Nerd Details: 6.5% ABV bottled (750 ml caged and corked). Drank out of a tulip glass on 10/22/16. Bottled 07 04 15 (from the cork). This page contains a single entry by Mark published on October 26, 2016 11:13 PM. Other Half Quadruple Feature was the previous entry in this blog. Allagash FV 13 is the next entry in this blog.